It is very easy to see why training dogs early on is very important. It lays the foundation for their desirable behaviors. This paves the way for a more positive relationship between owner and dog. It is also for this reason that it’s often a good idea to choose the right dog trainer. 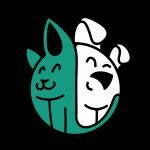 This is to help make sure that you will get the best out of your pet. However, with so many misconceptions and much confusion about dog trainers, it becomes more challenging to pick the right one for you. 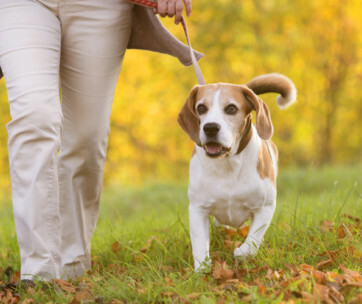 If you want to be better-informed about the kind of dog trainer that you will get for your pet, then you should know these 7 things about dog training. 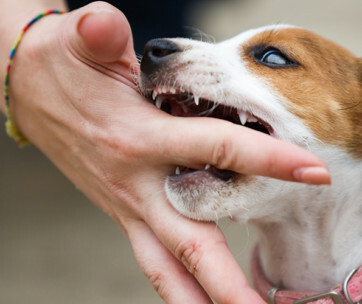 There are no federal, state, or local laws that regulate the practice of canine training. This is a fact that pet parents should understand. It also means that anybody who has “experience” working with a dog can claim that he or she is a good dog trainer. It could be your neighbor, a friend, an officemate, or someone you meet at the vet clinic. The obvious question is how do you know that you are getting the services of a good dog trainer? For one thing, you can always find out more about a particular dog trainer. If he is as good as he says he is, then other people will be talking about him as well. Other dog owners may recommend him to you. Your veterinarian may know him as well. These are all good indicators of a dog trainer that is doing quite well in your neighborhood. However, if there are mixed comments about such a dog trainer, maybe it’s time you need to pay him a visit. Try to watch how he trains the dogs. Ask questions about the trainer’s philosophies and training methodologies. This will give you an idea whether he is the right fit or not. 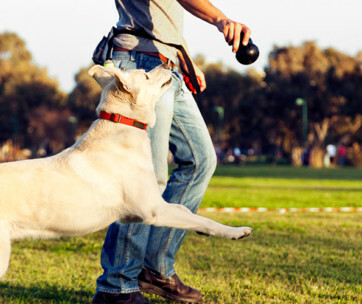 While it is true that dog trainers do not require registration or have a license to practice, it is a matter of professionalism that they should be a member of a reputable organization. These professional organizations provide certification for their members, making sure that they adhere to the principles and philosophies of the organization. This way, if a dog owner has a complaint about a particular dog trainer, he has an avenue with which to file a formal complaint. Moreover, members of a professional dog trainers association have to abide by the rules and regulations of the organization. This means better peace of mind for pet owners. Hence, while anybody can be a dog trainer, not everyone will have the full backing of professional organizations. They are still your best chances of finding a good and reliable trainer for your dog. Understand that dog trainers have different ideas about what constitutes “good dog training”. This is in the same way as pet parents having different ideas as to how their pets need to be trained. As such, when you try to ask a dog trainer how he defines a “trained dog”, his definition may be different from the definition of another trainer. There are, of course, instances when the dog training program is very objective. For example, if you’re training your dog in an agility course, then you can expect a well-trained dog to perform the different tasks expected in agility events. The same is true for coursing, herding, and other categories of working dog behaviors. The problem is when the objective of the training is to enhance the relationship between pet parents and their respective dogs. On one end of the spectrum are those who put emphasis on basic obedience commands. For them, everything else gets solved if the dog is able to master basic obedience. On the other hand, there are those who say that certain behavioral issues in dogs require more than simple obedience training. It is often wise to talk with a dog trainer. Ask about how he aims to accomplish the training of the dog. You may also want to ask what you, as a pet parent, can expect from the dog training. 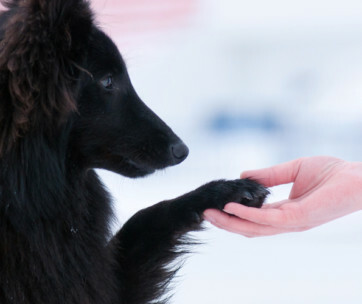 You may meet a dog trainer who takes pride in using a “balanced” approach to training dogs. There will also be those that label their training approaches as “force-free” or that they use “positive only” approaches. You may already know what these training approaches imply. What you may not know is that different dog trainers may have a different way of executing the same training approach. This means two dog trainers may brand their services as being “balanced”. Yet, when you look into the nitty-gritty of their methodologies, you will notice a stark difference. These two trainers may not have the same understanding of what “balanced” dog training should be. But don’t get mad at either of them. As already pointed out, there are no federal regulations that can help define the practice of dog training. Because of this, a single concept is open to many interpretations. The takeaway here is for you to look beyond what dog trainers put in their so-called advertisements. These mean nothing as they don’t give you an idea of the trainer’s level of skill. What you should focus more on is the result of the dog training process. Flexibility is one of the hallmarks of a true dog trainer. While it is true that he may be a master of a particular training approach, this also limits the number of successfully-trained dogs. Why? Like humans, there is such a thing as “individuality” among dogs. Some may respond well to a particular training method, while another may not. Hence, if the dog trainer is pushing for his so-called “tried-and-tested” method, then there is a very real chance your dog may not learn from it. One has to understand that there are hundreds of ways one can teach a dog how to perform a particular trick. Saying that only one of these is effective is not only a serious mistake; it is a sign that the dog owner doesn’t know what he’s doing. Dog trainers have this knack for confabulating very simple facts. For instance, they may focus on a particular method and claim that it is the best. But then, common sense will tell you that there are other ways in which a dog can learn the same trick. What is important here is for you to choose a dog trainer who is more focused on getting you the results you need. If he is focused more on a certain training method without a clear idea of how it will impact your dog, then walk away. While it is true that there can be hundreds or thousands of different methods to teach a dog a particular skill; not every one of these is correct. 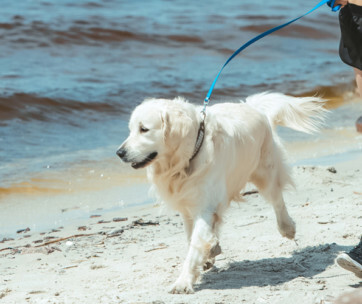 What this simply means is that you will also have to make sure that you are comfortable with the training method that the trainer will use on your pet. Keep in mind that dogs are like humans; no two are alike. One will learn faster than the other, given the same training method and circumstances. Change the training method and the other dog may learn faster. This is a fact of life that all pet parents need to understand. Hence, it is important to check if a dog trainer can modify his training approach to suit the needs of your pet. When you choose a dog trainer, he will only be working with you for several weeks to a few months. This often depends on the type of training that your dog needs. That is why the training program should not only address the issues that you may have with your dog. It should also equip you with the correct knowledge, attitude, and skills necessary to continue with the training long after the completion of the program. As a pet parent, you also would like to learn how you can train your dog. As such, a good dog trainer should also be a good teacher. 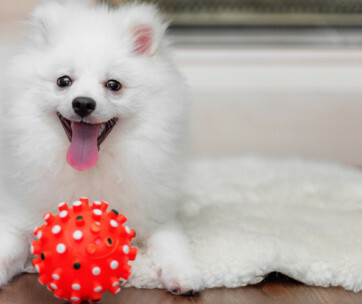 He must be able to help you discover some of your skills that are necessary for instilling good behavior in your pet. While your dog is learning the tricks, you are learning how to be a good friend and owner to your dog. Most pet parents are very wary about any sign of “animal abuse”. For instance, many will consider raising one’s voice as already a form of abuse. Others may find the use of the word “no” as offensive. Still, there are those that may consider failure to correct a dog the moment it misses a command or ignores a command as a form of abuse. What this means is that you will have to reflect on your own beliefs about animal abuse. If you don’t share these beliefs with a particular dog trainer, then by all means don’t get his or her services. You don’t want to have a misunderstanding just because you have a very different opinion on what constitutes “animal abuse”. Choosing the right trainer for your dog can be challenging. With these 7 things in mind, we’re hopeful you’ve gained a much deeper understanding of what you need to look for.